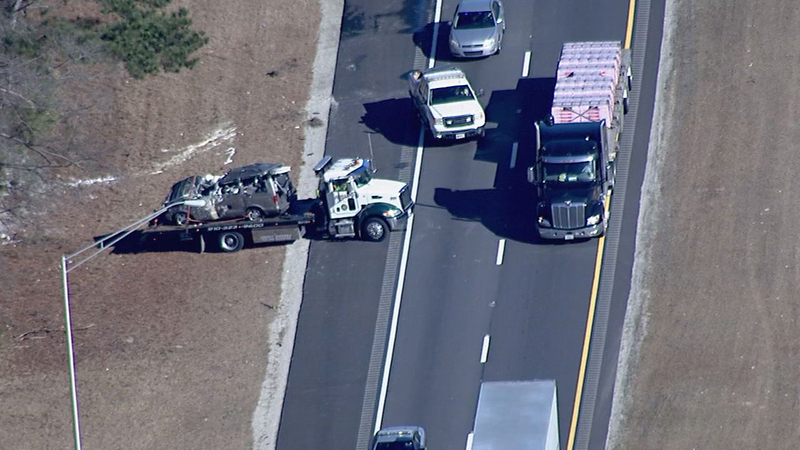 FAYETTEVILLE, NC (WTVD) -- Fayetteville Police have identified the driver and the passenger involved in a serious injury crash along I-95 on Wednesday. Police said Radie A. Rhoden, 56, of Jacksonville, Fla., was driving a 2003 Chevrolet van that veered off the road and rolled over after Rhoden overcorrected. The van flipped and struck a tree. Rhoden was initially taken to Cape Fear Valley Medical Center and then transferred to UNC Chapel Hill Hospital in serious condition. His passenger has been identified as Samuel Rhoden, 43, also of Jacksonville, Fla.
Samuel Rhoden is being treated at Cape Fear Valley Medical Center and is listed in serious condition.